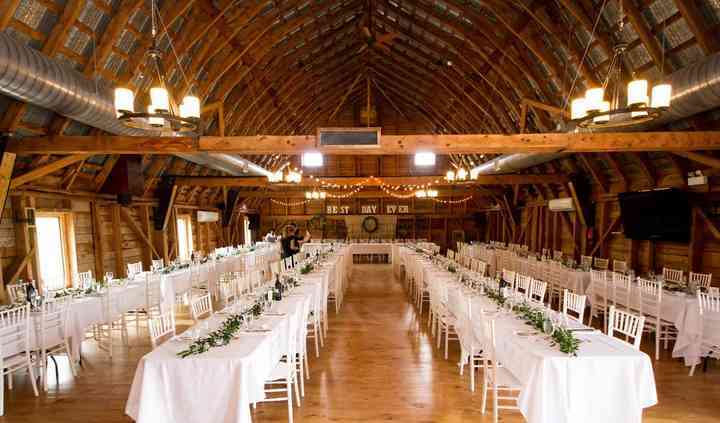 Clinton Hills, winner of Weddingbells Canada's Loveliest venues 2017, is a rustic country refurbished barn that is not only chic but it is simply stunning! 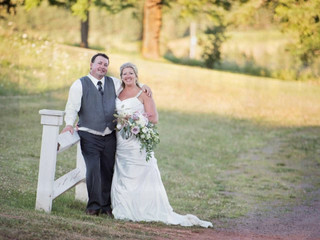 Imagine saying "I Do" in a landscape of rolling countryside, red rich soil, and emerald shades of green, mixed with refreshing breezes in our tranquil woods and calming glistening river... Your wedding dream will come to life here! From intimate gatherings celebrating your union to lavish affairs with family and friends, Clinton Hills offers the ideal location for your big day and an experienced staff who care as much about your special day as you do! 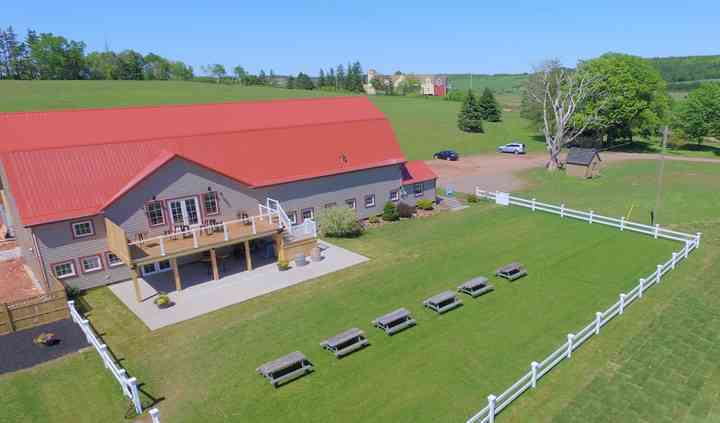 This idyllic venue on Prince Edward Island has stunning event spaces to choose from. 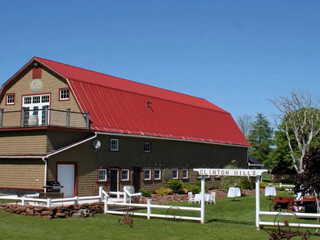 The Loft can hold 200 seated guests banquet style, while The Stable holds 80 people. 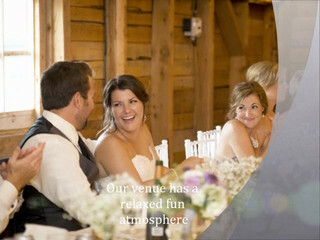 Their scenic outdoor licenced reception space is ideal for your cocktail reception and appetizers. The Corral, complete with bonfire pit is ideal for picture taking and bonfires. The Loft also features a wood stove fireplace, fully equipped kitchen, sound system, podium, WIFI, TV for slideshows, air conditioning, upstairs bar, outdoor bar, wheel chair ramp, and an outdoor licenced balcony. The morning of your wedding may be stressful, but with their 'Same Day Decorator' there is no need to worry, she will make your vision come to life. The team also offers three wedding ceremony locations, set up, tear down, clean up of tables/chairs/linens, catering set up, and set up for ceremony. I can’t say enough about Clinton Hills! The venue was absolutely gorgeous - and it was the perfect backdrop for our fairytale wedding experience! 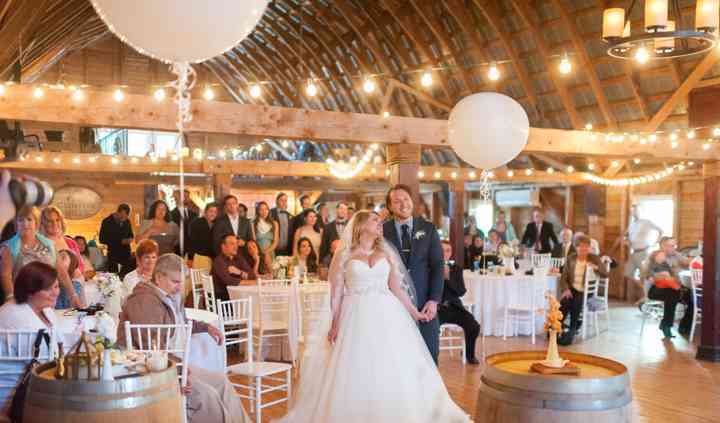 The rustic charm of the old, restored barn was homey ... Read more and so inviting - which was exactly the vibe we wanted for our special day. I can’t imagine getting married anywhere else! The staff at Clinton Hills made my wedding planning simple and easy! The day of the wedding was completely stress free as they took care of everything. 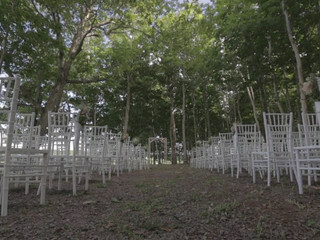 The venue was absolutely beautiful with lots of ... Read more different sceneries to take photos. Food was incredible, and the poutine bar later in the evening was to die for! It was a perfect night, which everyone who attended agreed with. From the start Clinton Hills was an absolute dream to work with! We were planning from Calgary which cause for some stress on our part, but the CH team (especially Maribeth & Julia) made everything so ... Read more so easy. On the day of our guests had nothing but AMAZING things to say, from the venue, food and atmosphere, you really hit it out of the park! Our wedding was beyond perfect! We are from the US and had a destination wedding at Clinton hills. All of our friends and family were enthralled by the beauty of the venue and couldn’t stop raving on ... Read more how delicious the food was! Maribeth went above and beyond- made the day smooth and flawless! I cannot think of any other word to describe this venue but amazing. Thank you for making our dreams come true.